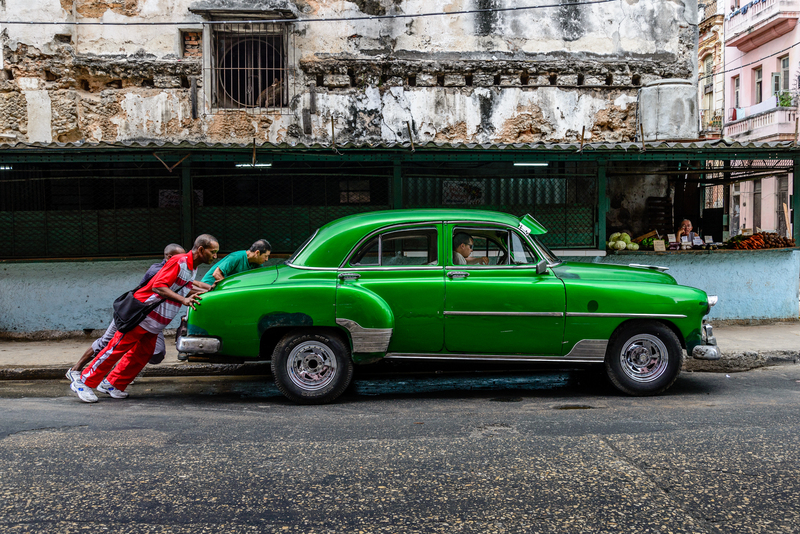 Last Sunday, we had an amazing walk around the neighborhood in Central Havana with Raúl Cañibano. Along the way, we came across this beautiful green Chevy (at least that’s what I think it is!) which had a dead battery. The owner quickly recruited three guys to help with a classic jump start – while we photographers were standing on the sidewalk directly across the street. Talk about a perfect photographic opportunity! This image will always bring me back to that moment – just a week ago – in Havana, Cuba – walking with old and new friends in a special neighborhood in Havana.